Founded in 1981, we have over 25 years experience in the making of fine, classic and contemporary frames. Our expertise and style has evolved from a history of working with the highest quality galleries, collectors, museums, interior designers and artists alike. Our facility has established a reputation as being the best kept secret in Palm Beach. Our artistic guidance, location and incomparably good prices make us the best choice in the Palm Beaches. 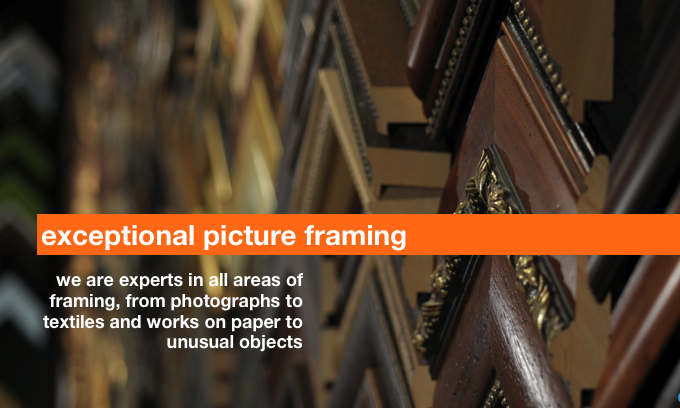 We take great pride in the art of picture framing and each piece is given individual consideration. All materials and procedures are guaranteed to meet the highest archival and conservation standards.